Abby is one of my all time favourite women's footballers, she did so much for the game. It was interesting to read all about her growing up, her personal struggles and how she over came issues, becoming a world cup winner and a pretty big deal in the game. I even think this could be a possible re-read in the future. A pretty big name in the women's game right now is Alex Morgan. She is one of the players I certainly look up to and reading all about her growing up and suffering injuries whilst trying to play the game at the highest level has really given me an insight into who Alex is and how she just wants to be the best she can be whether that is for club or country. This was definitely one of my favourite reads. Showing the trials and tribulations that the female footballers have to overcome throughout different countries all over the world, from being homeless and playing for their national team to having to play in underground mens leagues. I have actually spoken to my grandad about this book and he has asked if he could borrow it. 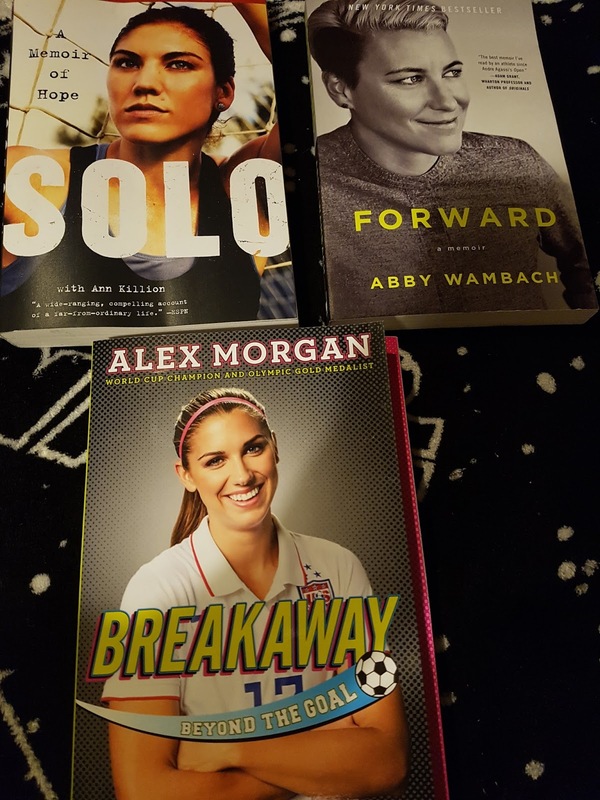 The book is a real eye opener and honestly makes you hope that one day things might get a little easier for the female players. Yet another football book. Hope is undoubtedly one of the best goalkeepers in the world but controversy seems to follow her around no matter what she does. There has been court appearances, suspensions from the national team and a contract termination. I can't wait to dive into this book and here from Hope herself what really happened and what her like has always been like. I just really want her back playing one day. Ah Carli Lloyd, she is up there on a level with Abby for being one of the best in the game. Carli has always been hard work and determination, so I am looking forward to reading all about her life in this book. She is an absolutely amazing player so it will be great to see what goes into making such a player. iJustine is one of the first YouTubers I started watching religiously watching her tech, gaming and baking videos are something I look forward to seeing in my subscription box. Just like the other autobiographies I have read I can't wait to find out more about iJustine other than her amazing amount of love for Apple and Apple products. So there you have it that is what I have currently been reading and what I am hoping to read very soon. 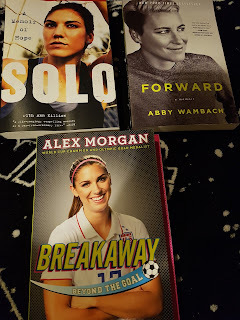 I think I have a little issue and need to try mix up what I read and not just stick to football autobiographies. When we unpack more books I think I am going to have a big shock on how many are currently unread, but I am hoping that for the rest of the year and next I can get through a big chunk of them.